Well done to everyone on the involvement in, and also great results in, a wide variety of events across the country this week. We had Richard on International duty representing England in the British and Irish Masters cross country in Derry and a team of Eagle’s competing in the Munster Masters Cross Country here in Cork. There were also club members taking part in marathons and half marathons in Kerry, Clare and Laois, and not forgetting or races here in Cork also. Congratulations to all on a great weeks work! 5K In Doneraile Park for Joseph Murphy. The event we would all love to support this weekend is 5k in Doneraile park on November 25th at 12 noon, this is as you know is a fundraising event for the repatriation of Joseph Murphy, son of club member Joe Murphy whose funeral took place this week. If club members are travelling to Donerail to run in or help out with the fundraiser on Saturday, please do wear your Eagle AC club gear. Tempo Run Reminder : It is advised that members participating in the Thursday Tempo runs wear hi viz clothing, along with either a head-torch or some form of lighted arm bands. The evenings are dark and it is difficult for people to see runners coming against them at speed! John Desmond mentioned that there are head torches on sale upstairs in Tesco Douglas if anybody is on the hunt for one (Cost €7/€8). Could members also please keep to the left hand side of the path when completing tempo sessions. Waterford Half transfers : Just a reminder that the final transfer window for the Waterford Half Marathon is the 16th to the 28th of November. So if you find you have a number but are no longer able to run on the day you might consider transferring you member to another club member that would like to run. Feel free to contact us if we can help in anyway. This 5k run was held in Cork Airport early on Saturday morning, No clubs were listed for this event but a few Eagle members were spotted crossing the finishing line! If I’ve missed anyone let me know and I’ll include it in next week’s mail. Well done to all members who took part. 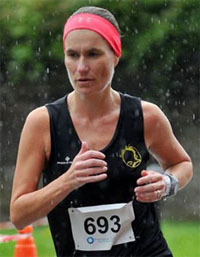 Elaine Guinane finished well up the field finishing in 4th place overall, just a few seconds off a podium spot. 1700 runners completed the course in total. The Valley Rovers Camogie Club 7k was held on Sunday, 19th November. Congrats to Damian who was spotted in the results. Damian finished 6th overall with a time of 30.42. The following members picked up category prizes in Little Island on Sunday. Well done to Paul, Tom and Joe. Congratulations to Richard Piotrowski who finished 4th M70 overall in the International Masters in Derry. Richard lost out on 3rd place by just 4 seconds. His great run guaranteed his team gold in the team competition. Fantastic running by Richard. The Munster Masters Cross Country Championships were held on Sunday the 19th of November 2017 and the club’s M35 team secured a Silver medal after finishing 2nd. 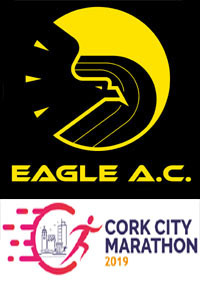 The scoring members of the Eagle AC team were Alan O’Brien 2nd, Vivian Foley 4th, John O’Callaghan 24th and Ruairi O’Callaghan 29th. In the individual categories, Alan O’Brien took Silver in the M35, Vivian Foley took Gold in the M45 and Pat Twomey won Silver in the M65. 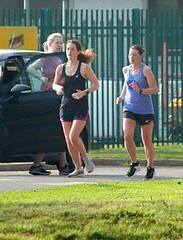 It was great also to have an Eagle Ladies team out to represent the club and well done to all running on the day. 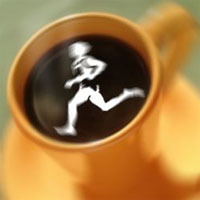 Congrats to Ciaran who won last Saturday’s Catlehaven Parkrun. 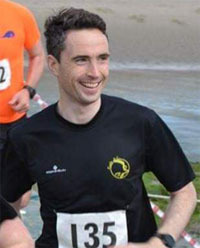 Congratulations to Mike McGrath who completed the “Run the Gauntlet Half Marathon” over the Gap of Dunloe last Sunday. Mike Described it as an awesome but tough event. Well done to John Dunphy who took part in the Sixmilebridge marathon last Sunday. The marathon half marathon and Ultra course took place over 1 mile loops. 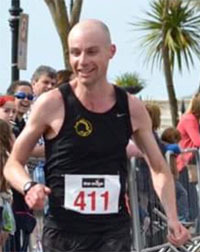 John completed 16 miles of the marathon course in a time of 2 hrs 11 minutes, but says he found this a good training run for The Clonakilty Marathon in December. 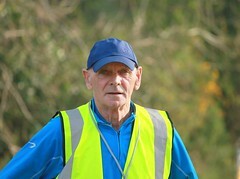 Well done to club member Ed Fitzgerald who travelled to Laois on Sunday to run the Gingerbread half Marathon. Ed finished in 99th position overall in a time of 1.44.04. Congratulations Ed. Athletics Ireland have launched a new initiative this year which they are calling NIA Live. In short, they are running midweek athletics meets on the new track at the National Indoor Arena, which are open to all levels. The meets start at 8 p.m. and run until 9.30 p.m. with some races at the meet being a break from the norm (e.g. 1,000m, Team 5k). Full details are on the National Sports Campus website. The NIA Live dates are 7th and 14th December, 11th and 23rd January and 8th and 22nd of February. 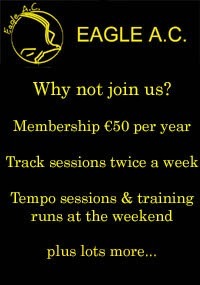 These meets might suit somebody who happens to be overnight in Dublin midweek around the date of a meet (you can enter on the night) or looking further ahead, they represent a good opportunity to get some indoor races in before the Munster Indoors Senior/Masters Track & Field Championships on Sunday 14th January 2018. Contact Keith Burke if you are interested in taking part at one of the NIA Live meets. Doneraile Park 5k fundraiser Sat 25th Nov 2017- details below. 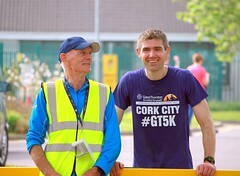 Congratulations to club member Mark Gallagher for his involvement in another very successful Eyeries 5 Mile. Club members reported that it was great day out for all who made the journey; and while Mark unfortunately couldn’t arrange for better weather, it seems that this did not dampen spirits on the day. Congratulations to club members who picked up prizes and it was great to see an Eagle Lady, Maura O’Regan, first lady home on the day. Thanks as always to all who have contributed to the email this week. We would like to thank all members for putting forward the club runs for the weekend. If people are interested in arranging a weekend run at any pace or distance please do let me know. If you have any results to share or feel we are missing any, please contact us. 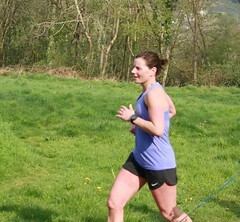 There was a large Eagle AC turnout at This 5 mile race in Eyeries on Sunday. 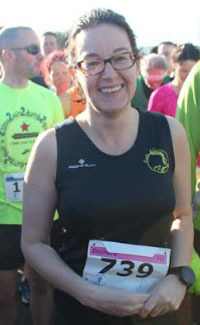 175 runners in total took part in the event. 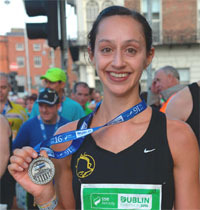 Special mention to Maura O’Regan who was first woman home. Well done Maura. There were also lots of Eagle AC category prizewinners on the day. The Cork BHAA HSE 5K was held in Mahon, last Sunday, 12th November. Members spotted in the category prizes are listed below. Well done to all members who took part. No club names were listed for this 5k which took place in Cork City last night so it was difficult to identify all club members taking part. Tim McCarthy was spotted well up the field though, claiming a top ten finish. Jason Crosbie also had a good run, finishing in the top 20 . Apologies if I’ve missed anybody else – please send results on if so and we’ll include them in next week’s email. Well done to club member Pat O’Connor who took first place in the Run in the Dark 10k road race in Cork City on Wed 15th November. It was a difficult race for faster runners as the roads were narrow and the four loops around the city center meant that many slower runners had to be lapped. 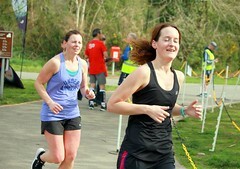 Despite the congestion and 700+ other 10k runners, Pat managed to still finish first in a time of 37:42. Andrew Kelly also took part but was timed for the 5k so I have logged his correct time below, well done Andrew. Club names were not listed in the results, and with the very large field apologies if there were other members taking part not spotted. 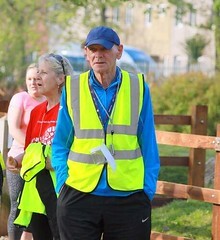 Well done to club member Mike McGrath who traveled to Listowel last Saturday for the Listowel half marathon. On a hilly and wet course mike finished 2nd in his age category and 11th place overall. Great Running Mike. Club Talks Workshops : The club is currently looking at organising some talks and workshops over the next few months. Tracy Cotter and John Desmond are working on these at the moment and we’re looking at another one in Feb 2018. 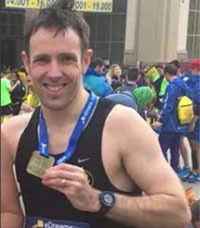 Our congratulations this week to Mark Smith who ran the New York Marathon last weekend. Great run Mark, we look forward to hearing all about it and Ruairi has more info below. 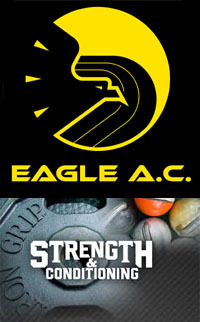 There was a very successful and interesting workshop held last night for Eagle AC members, covering the topics of nutrition, and strength and conditioning, our thanks to John Desmond and Tracy Cotter for organising what was a very enjoyable evening. Congratulations and well done to club members who took part in the novice B and Masters cross country championships last Sunday. A great turn out for the club. Well done to club member Mark Smith on a great time of 2.38.54 in the New York marathon, this was a 5 minute PB for Mark on what is known as a very tough course. Congratulations Mark.